New York’s Manhattan Arts International has selected Terry Woodall as one of three featured artists for their exhibition “The Healing Power of Art” 2019. 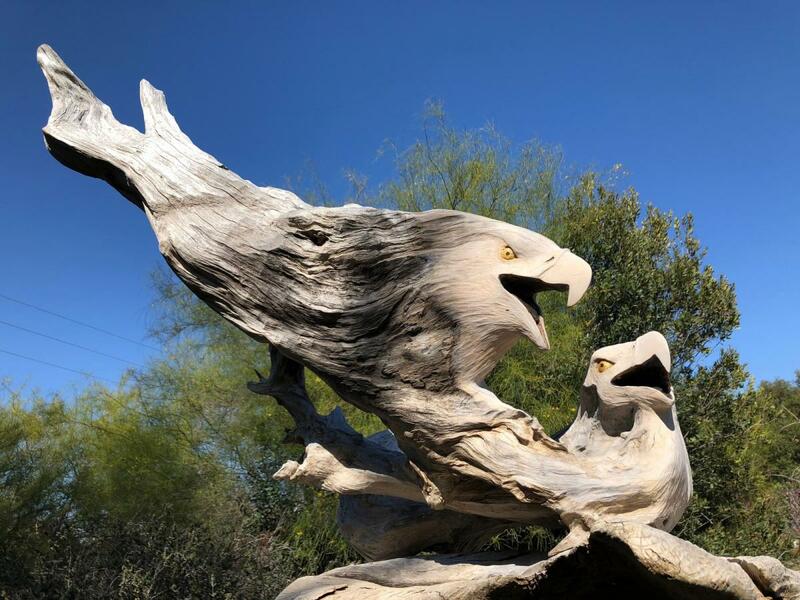 A cedar sculpture of two eagles by Terry Woodall was installed in the Palomares House Sculpture Garden at a dedication ceremony in Fallbrook, California. 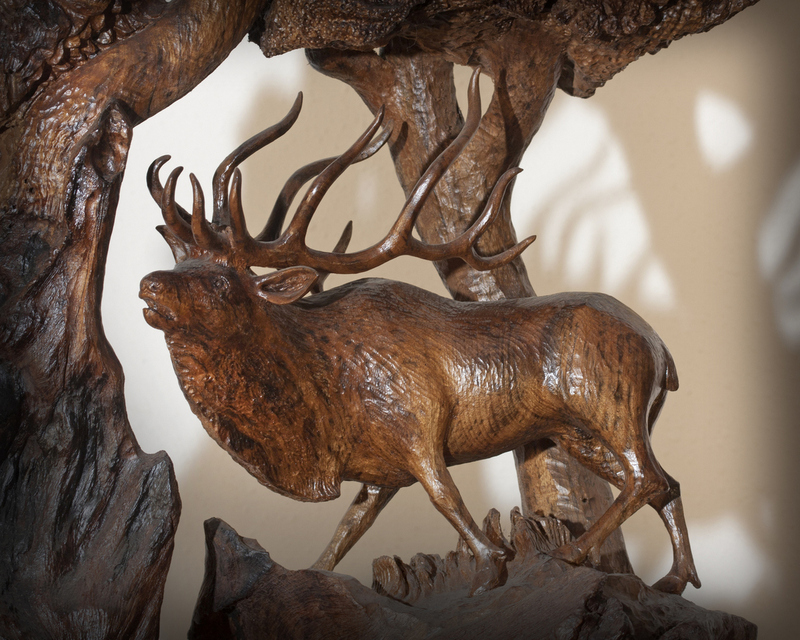 Sponsored by the Fallbrook Land Conservancy and Fallbrook’s Art in Public Places program, the dedication served as a tribute to the many wildlife artists who have attended the “Reflections in Nature” annual art exhibition. 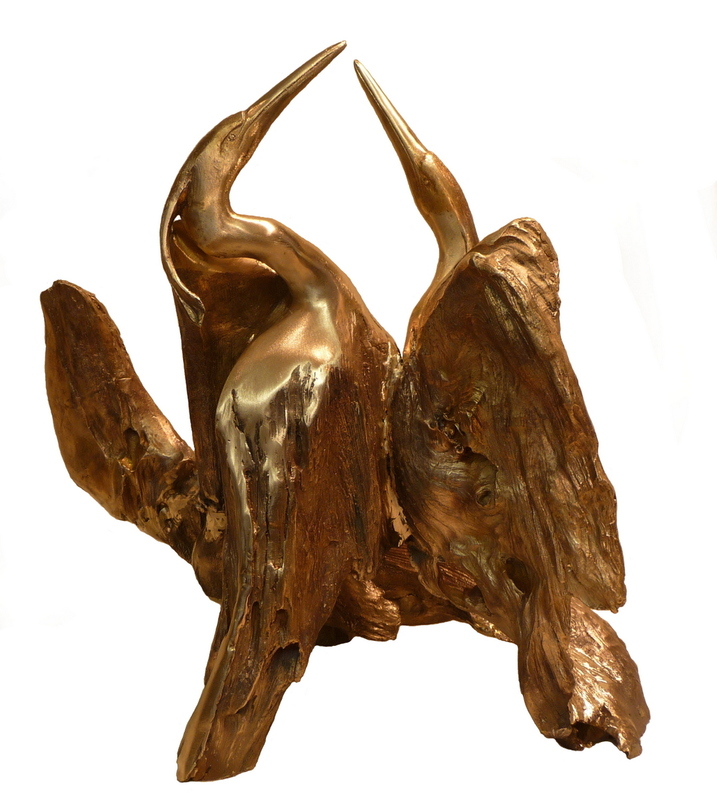 Bronze herons sculpture "Matters of the Heart" was shortlisted as a finalist in the Wildlife Artist of the Year contest and exhibition at the Mall Galleries, London, England. 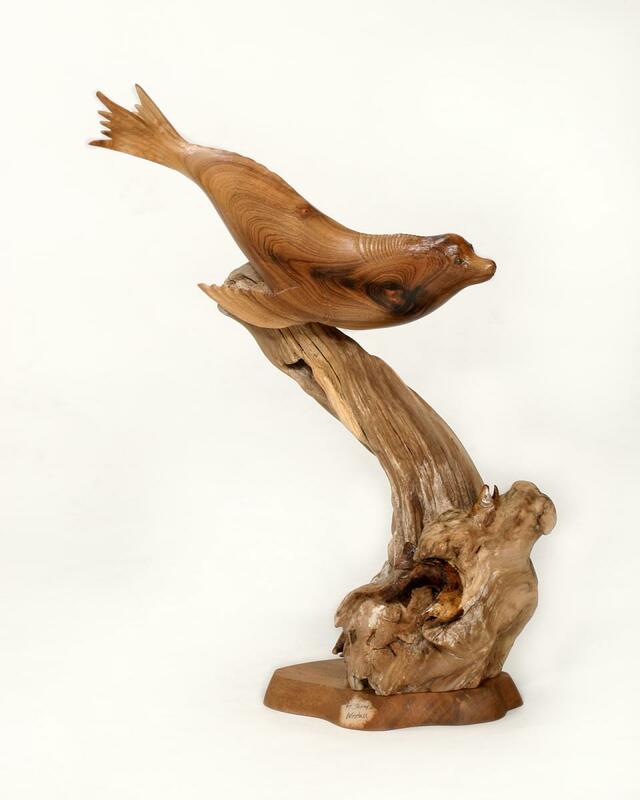 Driftwood sculpture “Matters of the Heart” was awarded the “Best in Show” at the 8th Annual Artists for Conservation International Exhibit of Nature Art in Vancouver, British Columbia. Artist Terry Woodall was also presented with a Medal of Excellence Award. 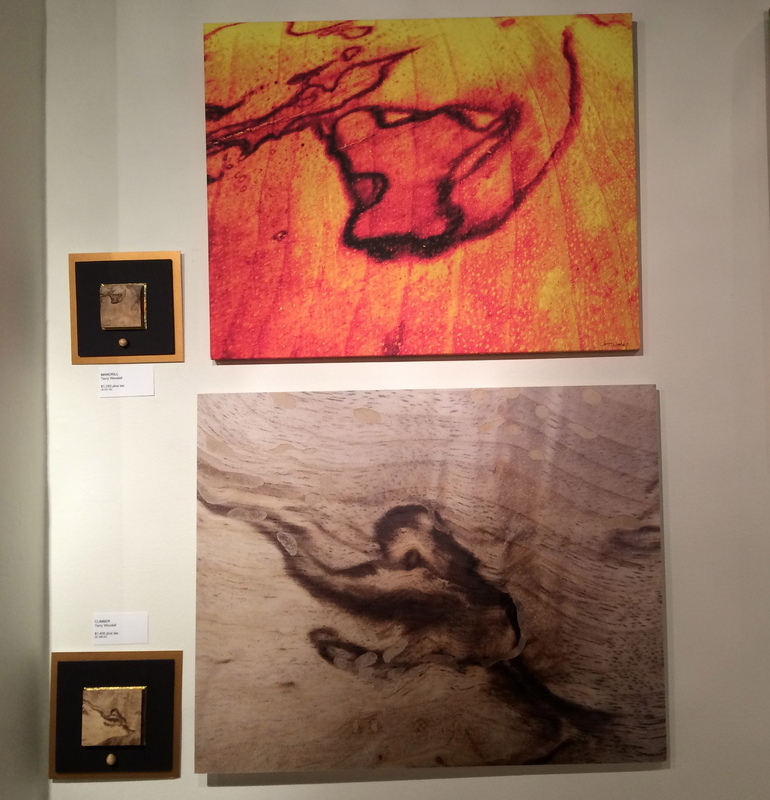 Continuing fron the Endangered Art Exhibition sponsored by the Center for the Great Apes in the Wynwood art district of Miami, Florida, Terry Woodall is chosen as a featured artist with his images in wood wall hangings. 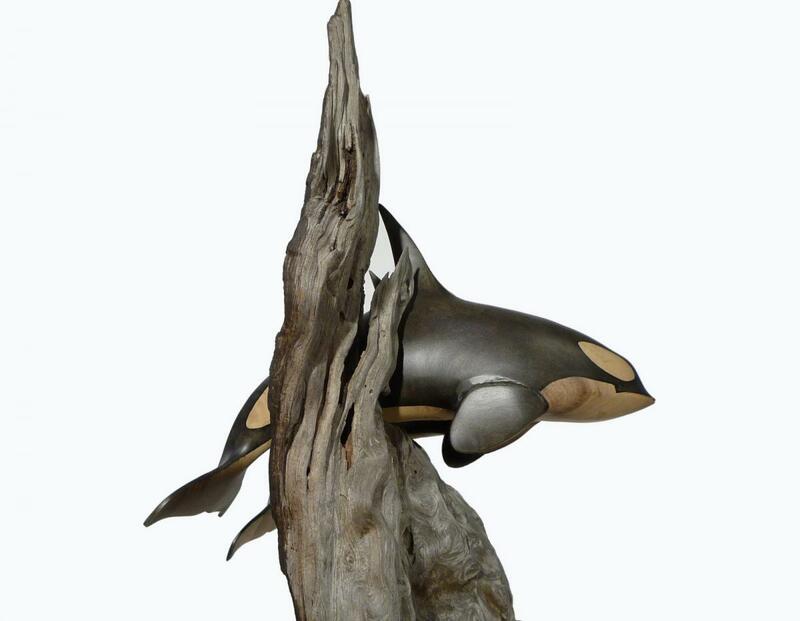 Terry's work "Orcas! Orcas!" 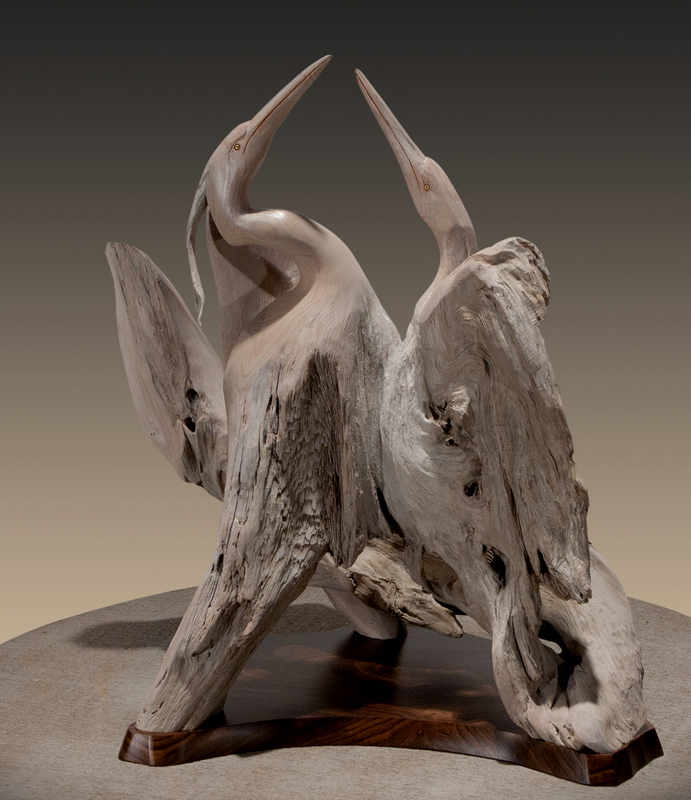 was exhibited in the "Art and the Animal Kingdom XVI" exhibition at the Bennington Center of the Arts, Bennington, Vermont, and subsequently purchased for their permanent collection. 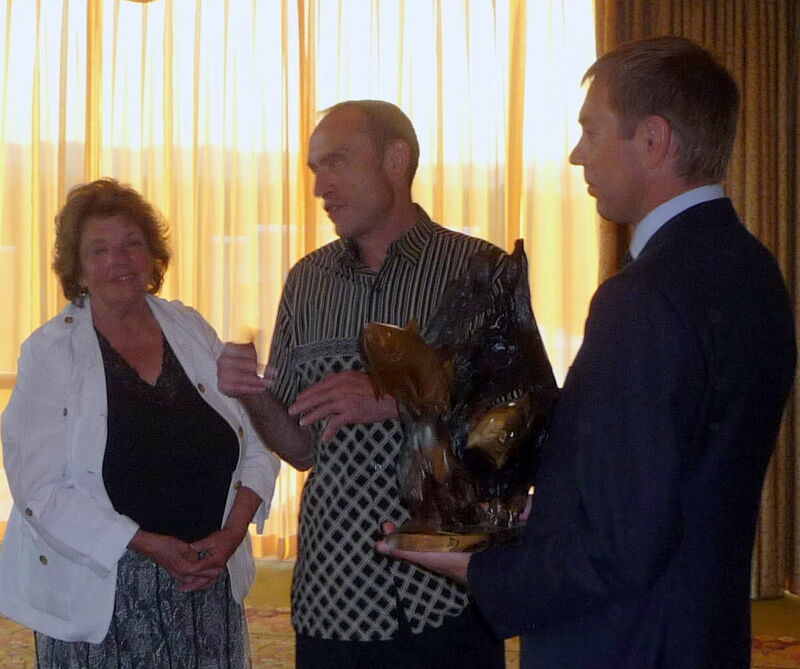 Eugene, Oregon Mayor Kitty Piercy presents a Terry Woodall salmon sculpture to Mayor Victor Kondrashov of Irkutsk, Russia, at a Sister City gala event in Eugene. The purchase award was commissioned by Sister City President Galina Groza. 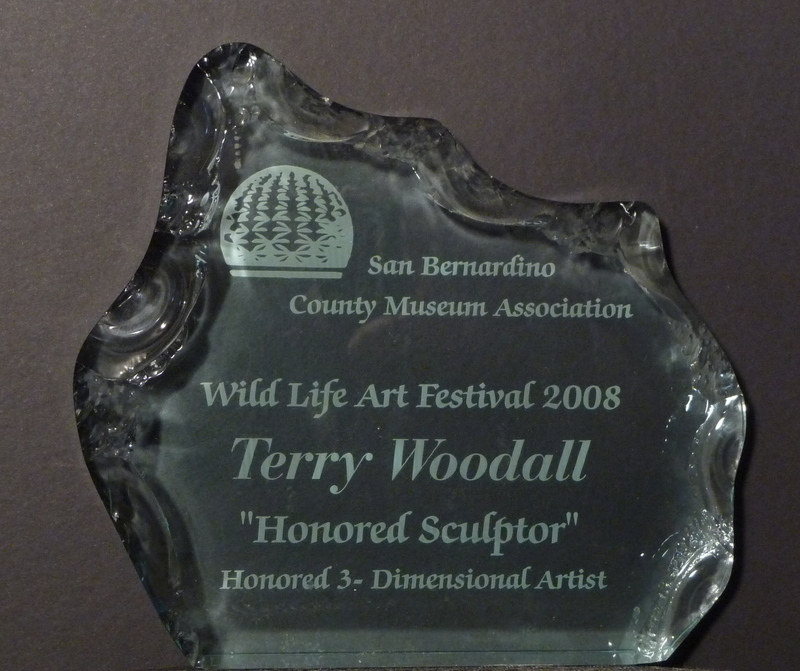 The San Bernardino County Museum awarded Terry Woodall the Honored 3 - D Artist Award at their 2008 Annual Wildlife Art Festival. Terry was also the 2008 Featured Artist of the annual show. 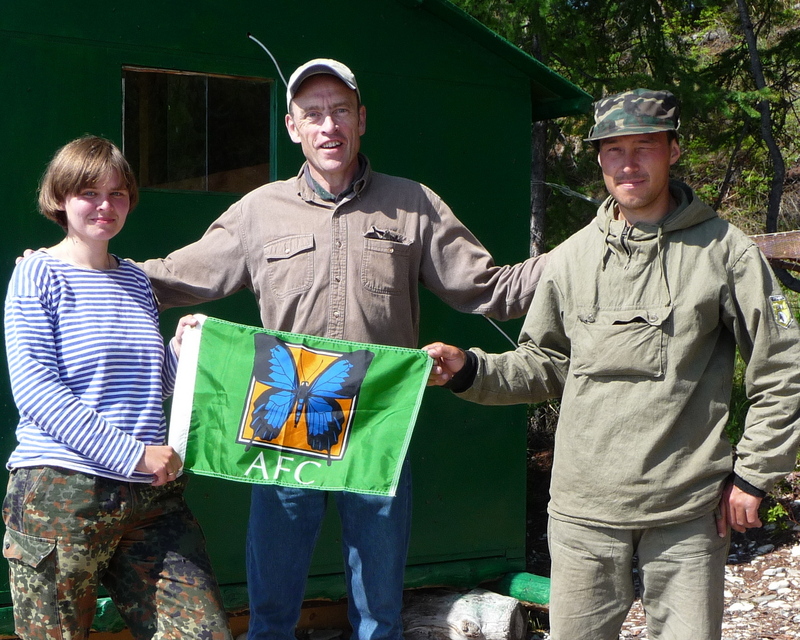 Terry Woodall was awarded a grant from the Artists for Conservation Foundation for an artistic field study on Lake Baikal, Russia, under their Flag Expedition program. The Siberian expedition explored the remote habitats of this freshwater seal species on one of the world's largest lakes. 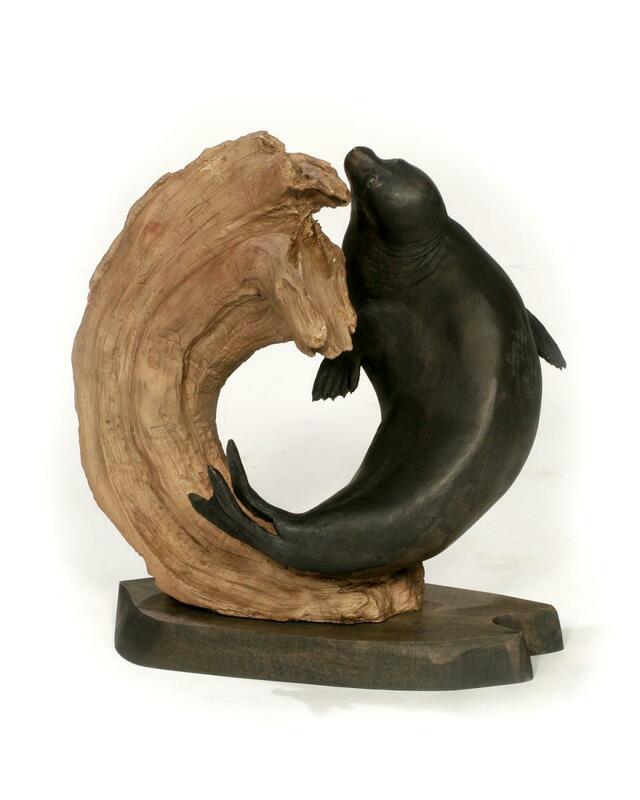 "Surfing the School" was honored with the "Best in Show" award at the Mendocino Art Center's Fifth Annual Marine Wildlife Art Exhibit, Mendocino, California. "Gladiator of the Glade" by Terry Woodall was awarded the silver medal for sculpture at the 2007 San Dimas Western Art Exhbition, San Dimas, California.